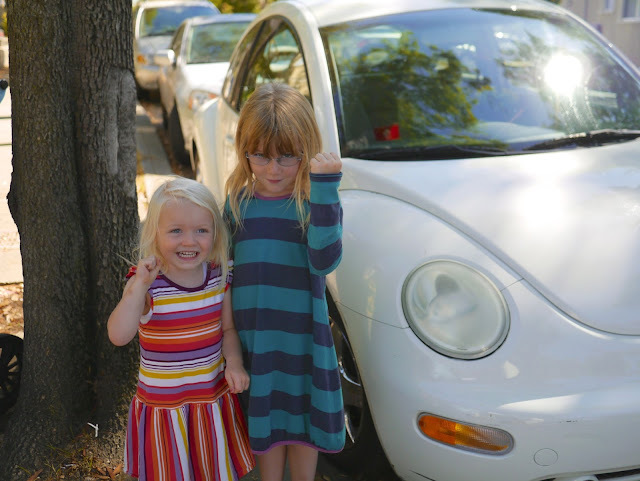 Ava and Lola love to play Punch Buggy when we're out and about. You know that game where the first person to call out "Punch Buggy" when a Volksgwagen Beetle goes past gets to punch the other one? Needless to say I'm usually the recipient of said punches! Little, gentle punches of course. 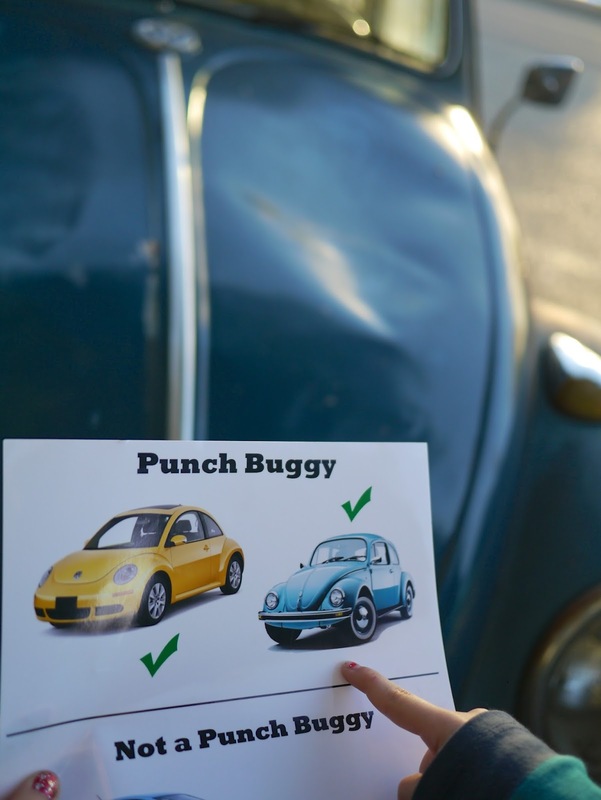 Well, even though they love to play it, my girls aren't too good at recognising just what is a Punch Buggy and what isn't. 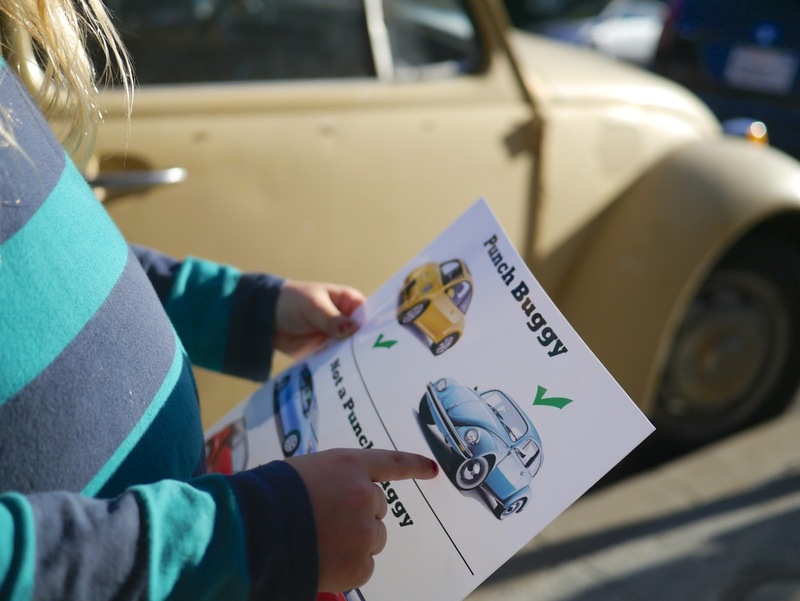 Oh, they never miss the opportunity when a VW Beetle does go past, but they have trouble when it comes to similar looking cars. 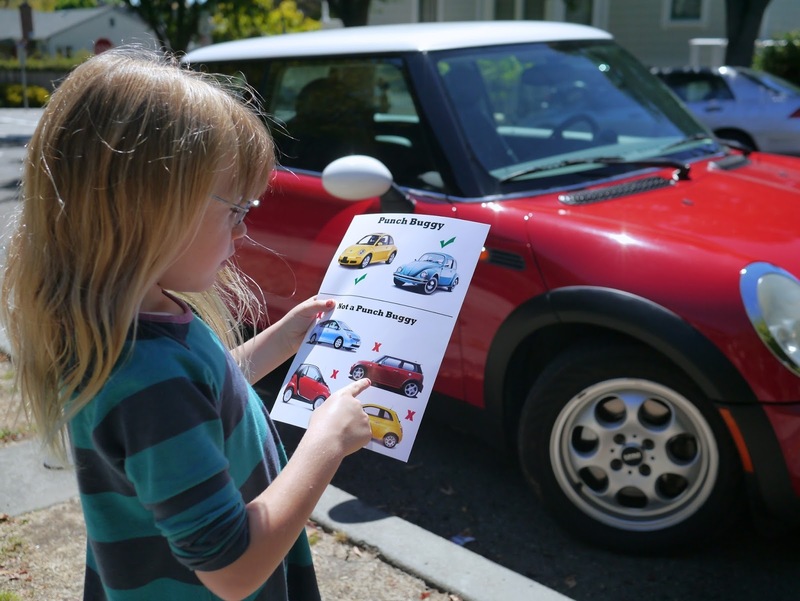 This results in a lot of extra punches! 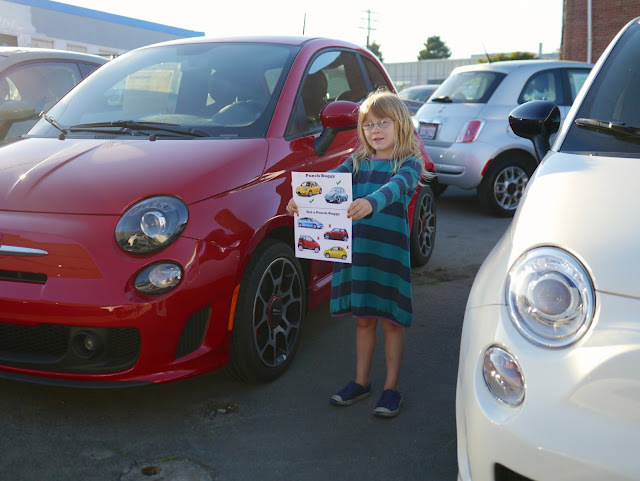 Mini Cooper, Fiat 500, Smart Car, Toyota Prius... 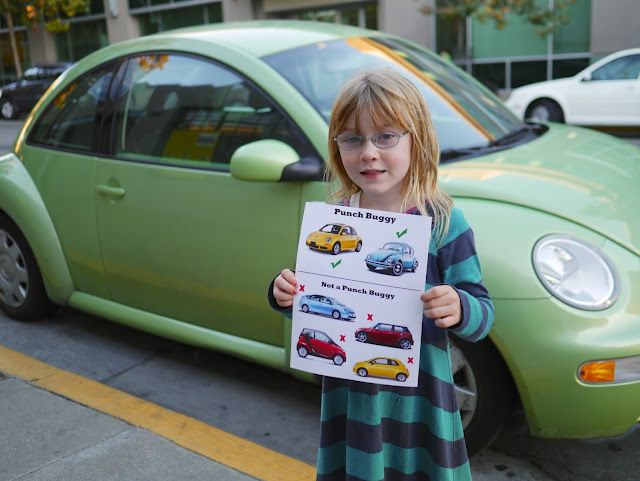 Pretty much any small, roundish looking car that goes past is greeted with a cry of "Punch Buggy". 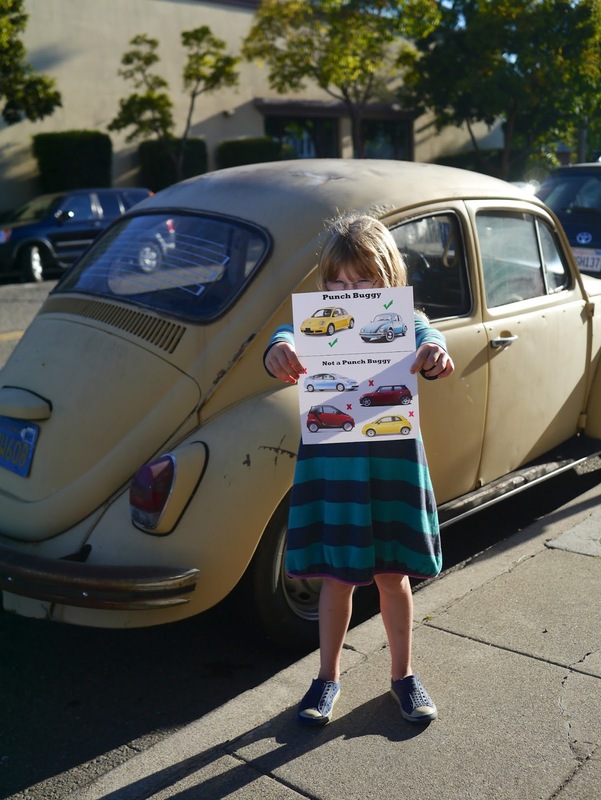 And trust me, hardly a moment goes by when we don't see a Mini Cooper or Toyota Prius in Berkeley! Especially the Prius. 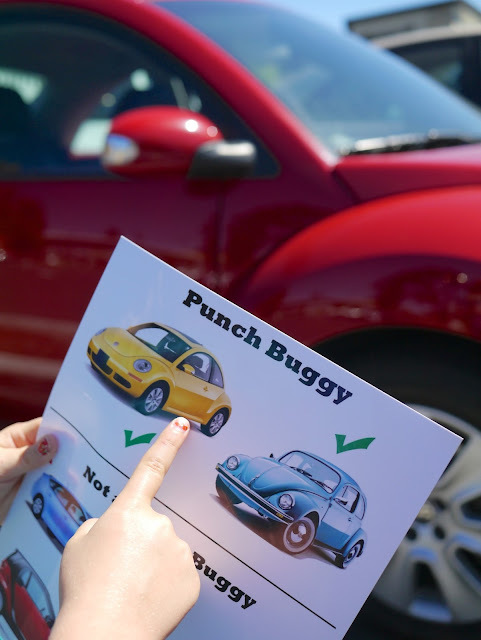 To combat the onslaught of gentle (yet numerous) punches I've been receiving, I decided to make the girls a Punch Buggy Field Guide to help them accurately identify Volkswagen Beetles. 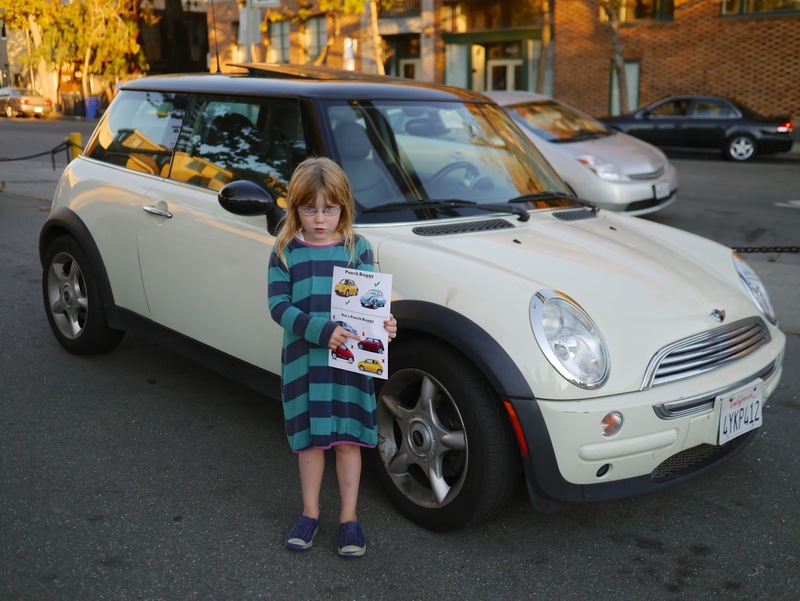 With their new Punch Buggy Field Guide in hand it was time for the girls to test it out. Watch out Mum. 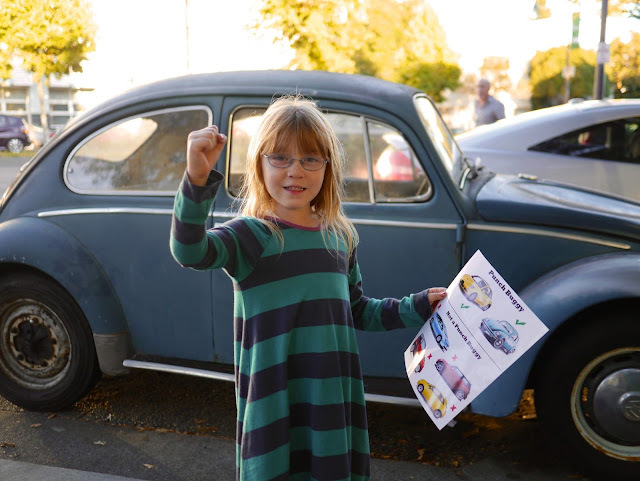 It's a Punch Buggy! 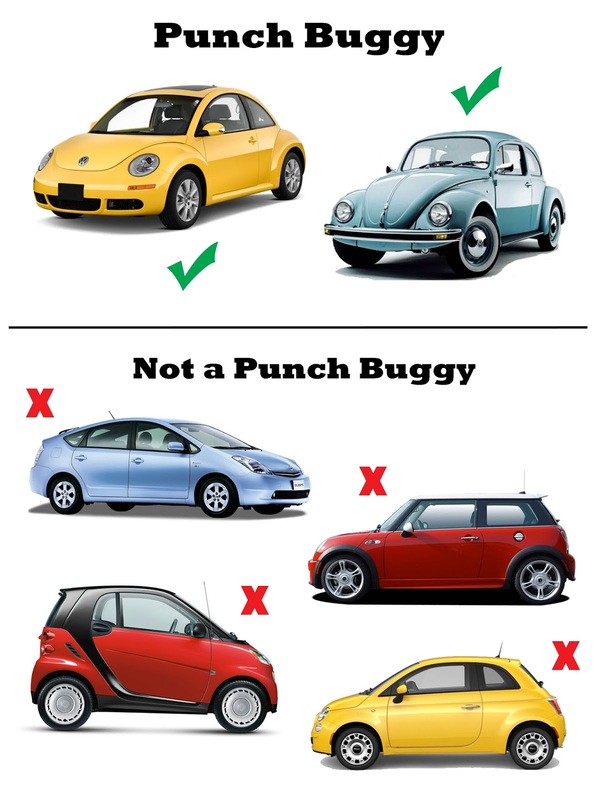 ...but they're not Punch Buggies. He he he... 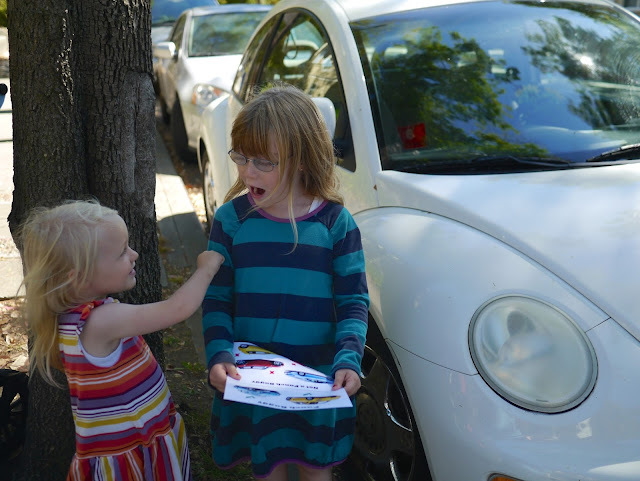 It is a Punch Buggy! 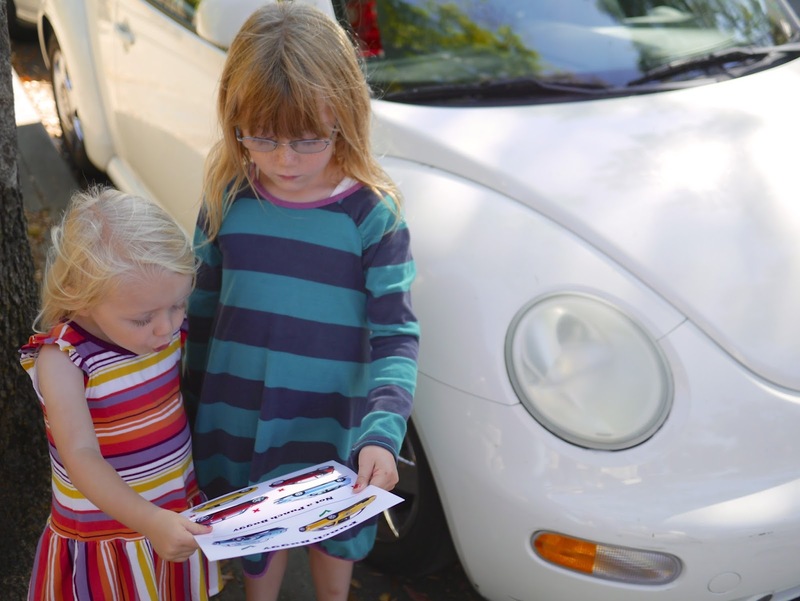 Ooh... what have we found here? 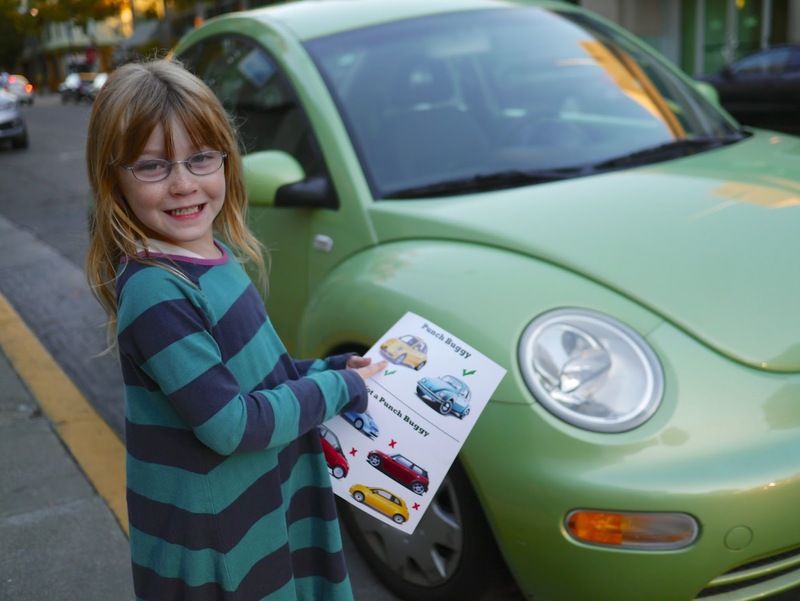 It's a Punch Buggy, alright! Thanks to our Punch Buggy Field Guide I've been receiving far fewer punches. 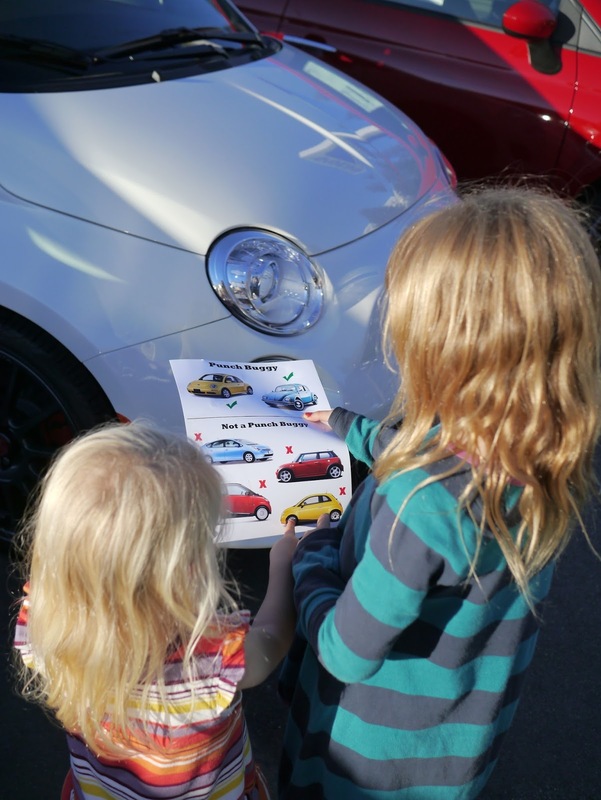 Looks like it's been a success! On a side note... Is the new Volkswagen Beetle "officially" a Punch Buggy? We include them in our game but I'm never sure if this is in the "rules" or not. If you play Punch Buggy do you include new Beetles or do you stick to just the old school Beetles? Kim seems to think that we should only include old Beetles but I'm more generous and let the girls include both types. 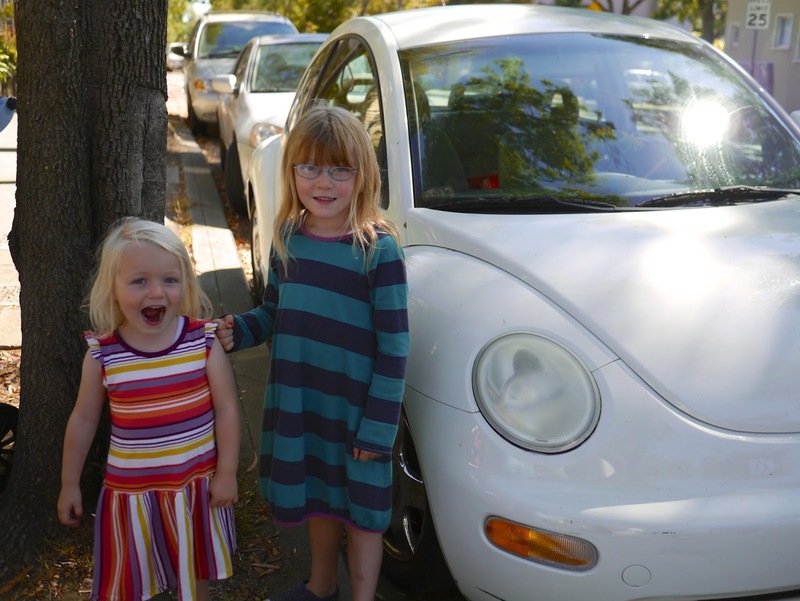 Well, we'd rarely get in a punch if not including the newer models....I don't think I've seen an old beetle since 2005!! I'm always surprised at just how often we actually see the old ones. 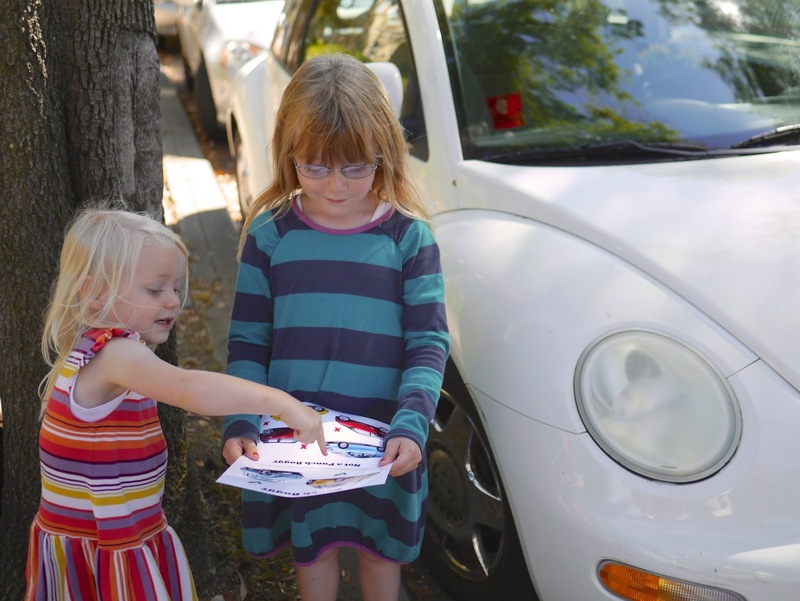 Then again, this is Berkeley. 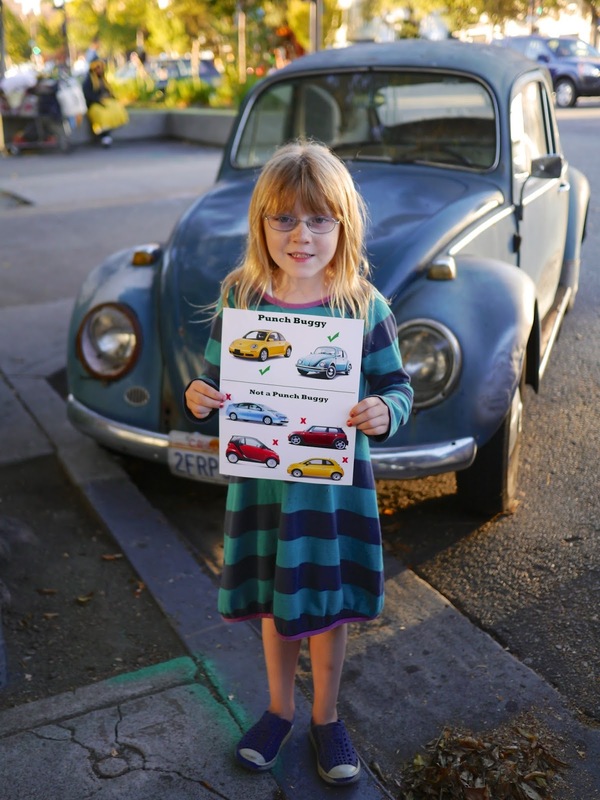 They're probably all driven by original hippies from the 60s!